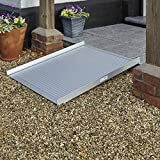 This practical wheelchair ramp, easy to transport and made from light aluminium is perfectly suitable as a mobile aid. 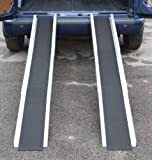 By its use you can effortly bridge any steps, moreover it provides for a barrier-free access. 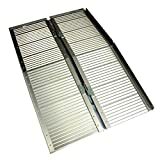 The advantage is that it merely consists of one component instead of 2 rails that have to be adjusted in matching space to one another. 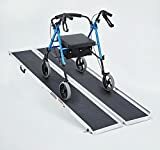 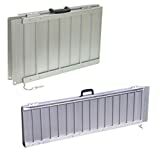 The ramp can be easily folded by making use of the handle in longitudinal direction and is carried just like a suitcase by using the respective handle provided therefor. 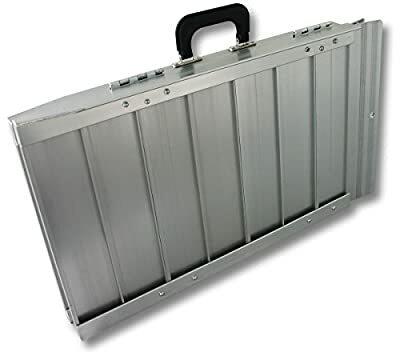 It has a weight of merely 10,5 kg with a folded size of 1220 mm x 380 x 75 mm. 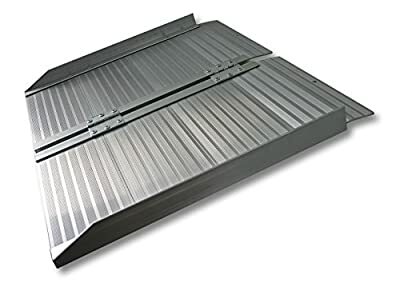 The ramp itself has a capacity load of 270 kg and its easy handling as well as the flexible field of application are simply formidable. 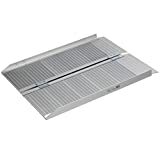 The ramp disposes of a slip-proof surface, thus ensuring that it can be used in all weather conditions. 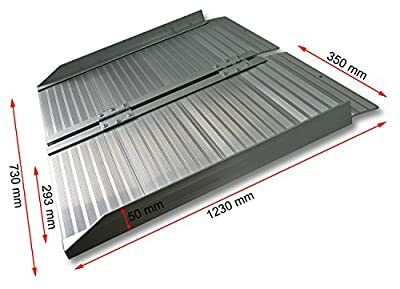 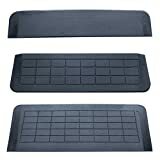 On both sides there is a raised edge in order to ensure a safe driving onto the surface and to prevent a lateral slipping.